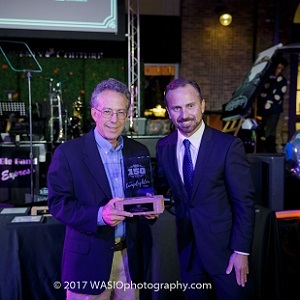 Renowned Visionary Tom Hom Honored at the Gaslamp Quarter’s 150th Anniversary Gala! 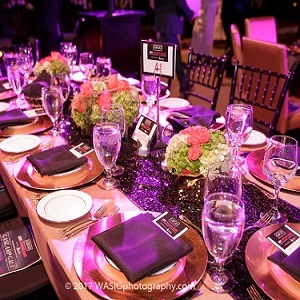 Guests were dazzled and delighted at the GBOD Group Gaslamp 150 Gala presented by Trilogy Real Estate Management held on Tuesday, November 7, 2017. 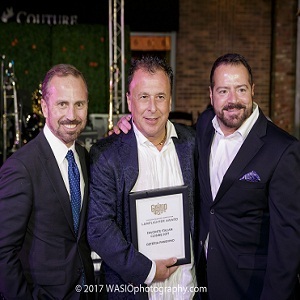 It was an unforgettable evening of awards and celebration held at the Hard Rock Hotel and underneath the famous Gaslamp Quarter Arch on Fifth Avenue. 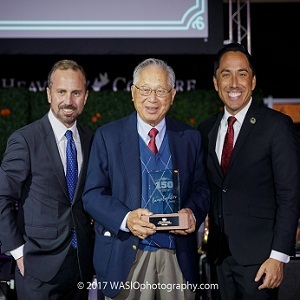 Former San Diego City Councilman and local legend, Tom Hom, was the event’s guest of honor. 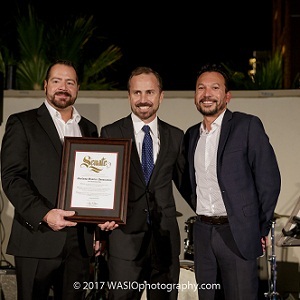 Hom was presented with the Armond Award for Lifetime Achievement by State Assemblymember Todd Gloria and the Gaslamp Quarter Association. Assemblymember Gloria sang Hom’s praises citing his efforts to preserve and protect the Gaslamp Quarter and his legacy as the first non-Caucasian City Councilman to serve San Diego. Hom received a standing ovation upon giving a few remarks about his time serving the community. Now in his 90s, Hom continues to make music, art, and share his passion for San Diego. 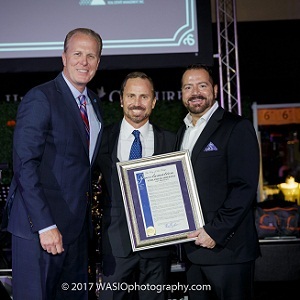 The event was kicked off by a representative of State Senator Toni Atkins’s office who presented the Gaslamp Quarter with a special proclamation honoring its 150 years of history. 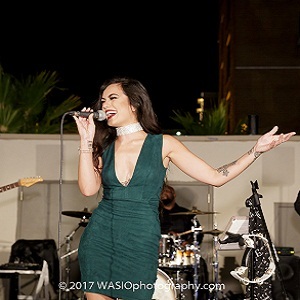 Musical group “K Emeline and the Fellas” entertained guests on the rooftop deck of the Hard Rock Hotel with their sultry renditions of classic hits. Guests mingled and perused the silent auction eager to win some of the fabulous donations. The reception featured appetizers from Havana 1920, Barleymash, Tin Roof, Challenge Dairy, The Melting Pot, Parq Restaurant and Nightclub, Meze Greek Fusion, and Henry’s Pub. Guests also enjoyed cocktails provided by the finalists of the Dusty Rabbit cocktail contest. Mixologists from the Horton Grand Hotel, Searsucker, Henry’s Pub, and Blue Point Coastal Cuisine competed to win the honor of the official cocktail of the 150th Anniversary celebration. When the votes were tallied, Searsucker claimed victory with its house infused cucumber gin and basil lemonade garnished with pickled carrots and fresh basil leaves. Following the reception, guests made their way down to Fifth Avenue. Guests found the street transformed into a whimsical and breathtaking space. Elegant tables dressed in black with beautiful floral centerpieces of roses and hydrangeas sat underneath antique string lights and a clear Southern California evening sky. At the center lay a stage and dancefloor flanked by the beautiful rabbit statues of “Rabbitville”. 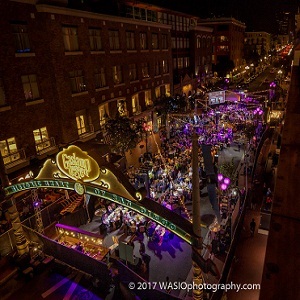 The memorable transformation was brought to life by San Diego’s premier event production company, McFarlane Promotions. Guests enjoyed a delectable three-course meal provided by the Cohn Restaurant Group and overseen by Executive Chef Samuel Geffroy of Gaslamp Quarter’s own Blue Point Coastal Cuisine. Throughout the dinner, guests were entertained by the “Big Band Express”, an 18-piece orchestra, and a special tribute performance by the Shout! House band singing an a cappella medley of famous California songs. The Gaslamp Quarter Association would like to thank the sponsors and partners of this year’s festivities: GBOD Group, Trilogy Real Estate Management, Southern Wines and Spirits, Young’s Market Company, Shamrock Foods, Hard Rock Hotel San Diego, Cohn Restaurant Group, Sysco, Coca-Cola, The Hom Family, RMD Group, Barleymash, San Diego Marriott Gaslamp Quarter, Henry’s Pub, A7D Creative Group, Enne Bi Communications, The Shout! House, Pacific Magazine, The San Diego Union Tribune, Kansas City BBQ, Aloha, Joanna Herr, Moet Champagne, Anheuser-Busch, Karl Strauss, Bassmnt, Gaslamp Quarter Alliance, The Gaslamp Quarter Historical Foundation, Flocke & Avoyer Commercial, HP Investors. 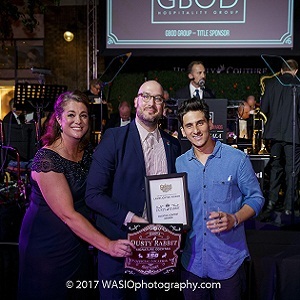 Greystone Steakhouse, Osteria Panevino, Osetra Fishhouse, Laurie Peters, Michael J Wolf Fine Arts, San Diego Convention Center, San Diego Tourism Authority, US Foods, Sensational Treats, Spill the Beans, Warner Bros. Television, Pendry San Diego, San Diego Padres, City of San Diego, Ghirardelli Chocolate, RADD, John Ramirez, and Lyft.